Western Tour: Enjoy a short 20-minute drive west of downtown Charlottesville to a scenic area offering a cluster of award-winning wineries, tasting at 3 locations selected from the following. Southern Tour: A beautiful 20 minute drive south of downtown Charlottesville where guests enjoy tastings at a selection of 3 tasting rooms from the list below. 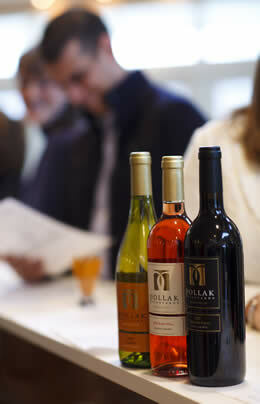 Why does Monticello Appellation Wine Tours not include the tasting fees? Until July of 2014, the State of Virginia did not allow any tour companies to pay tasting fees. Since that law was revoked for licensed tour companies only, problems arose when large groups with prepaid tastings consistently arrived hours after their reserved time, demanding service when the group tasting rooms were busy with other prepaid reservations. Because of these problems, wineries will not allow any tour groups to pay for guests’ tastings. Why do you stop the tours at 5pm? Most wineries close at 5pm. Many have weddings booked after closing. After that, they want to go home and spend time with their families. Our tour is carefully designed for a full afternoon of tasting at 3 wineries to allow guests to fully enjoy each experience. Why can’t I add more time to my tour? Just give me your hourly fee. We are a tour guide company, not a limo. If you need a limo just ask us – we have several great companies in town to recommend. Our guides pick up guests at 1pm, tour until 5 after which they drive you back to your pick up location. We need to get home, feed the dogs and make dinner. Why can’t I just change my tour date less than 10 days out? I’m still using your company. We reserve our guides and vans for you – turning away other business when you book. If you cancel less than 10 days out it’s possible we will not have enough time to rebook. However, if we receive another tour booking less than 10 days out we will cheerfully refund your deposit less the $20 credit card processing fee. 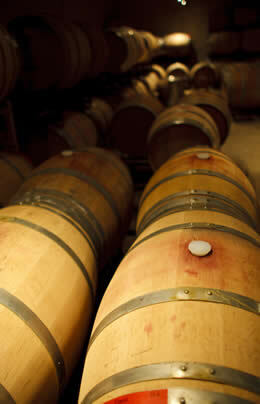 Monticello Appellation Wine Tours books only 2 – 6 guests per tour. All guests must be over 21 and have proper identification. Tours will be immediately stopped with no refund if a guest becomes inebriated as it is illegal for any winery to serve an inebriated person. The winery staff and/or the tour guide reserve the right to refuse service to a guest for any type of misconduct or inebriation either in the van, in a public place, or on private property while on an Taste of Monticello Wine Tour. In the event that a passenger(s) is refused service during a tour, a separate vehicle will be called to return the passenger(s) to their pick up location at the guest’s expense, which will be automatically charged to the passenger’s credit card on file. Most tasting rooms close at 5pm. Any tours still out will depart tasting rooms at this time. Any guest causing a spill, soil or damage to the tour van that is unusual, causing damage or soiling the vehicle, will be charged $250 to the credit card on file for the tour. Sorry! Tours must depart on time. No Refunds for missed tours – No Exceptions. We cannot be held responsible for delays or cancellations of customer trips that result from weather, traffic jams, mechanical difficulties, sickness, or family emergencies that may occur during or prior to your trip. TOURS CANCELLATION POLICY: Please note that cancellations must be received by phone only more than 10 days from tour date for deposit refund. GIFT CERTIFICATE CANCELLATION POLICY – Should cancellation be received by Taste of Monticello Wine Tours less than 10 days prior to the tour date, the certificate is considered used unless we can fill the seats with other bookings. Early departures and no-shows are responsible for the cost of their entire reservation. Any reservation that is moved inside the cancel policy time frame must be paid in full at the time of move with a new no cancel/no refund policy for the new reservation date.